Sometimes, location is not a problem for me as long as there is good food there. 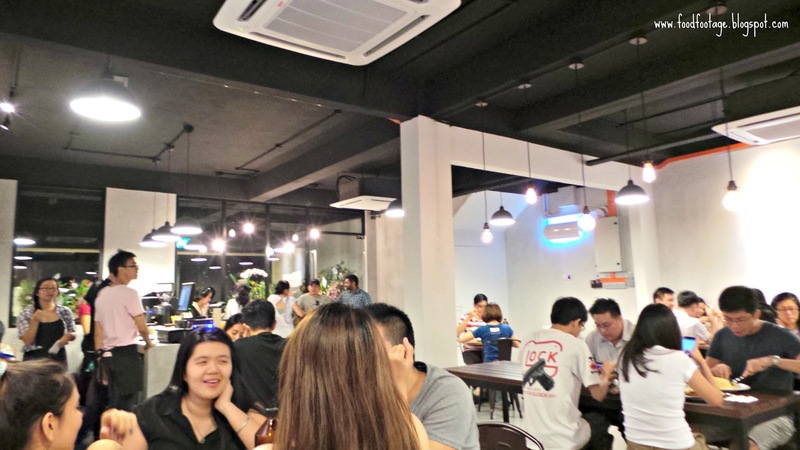 There is a restaurant located at a whole less quiet street of Section 17/45 that you wouldn’t want to miss out. Managed by a group of culinary background young people, Strangers at 47 offers you a whole new selection and memorable crepes. When I and my friend stepped into Strangers at 47, what we saw was all the tables were occupied and it was a little pass 9pm. But lucky enough, we only waited for few minutes for a table. 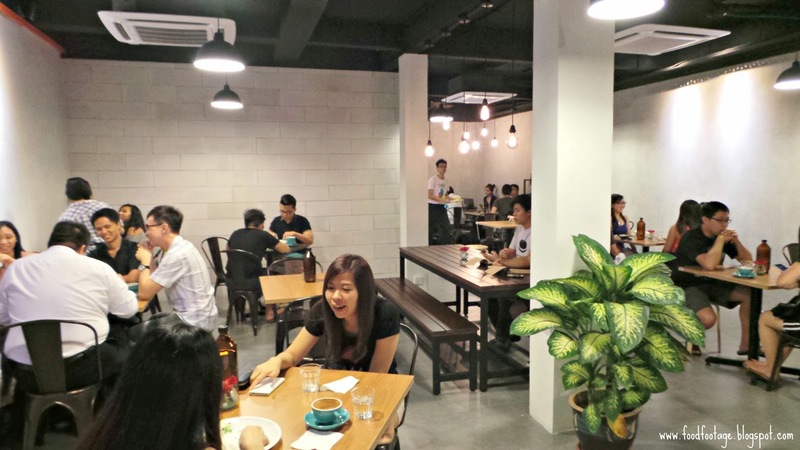 The interior design of Strangers at 47 is minimal but cozy – bare cement walls, exposed light bulbs, brown tables and wood-color plastics chairs. 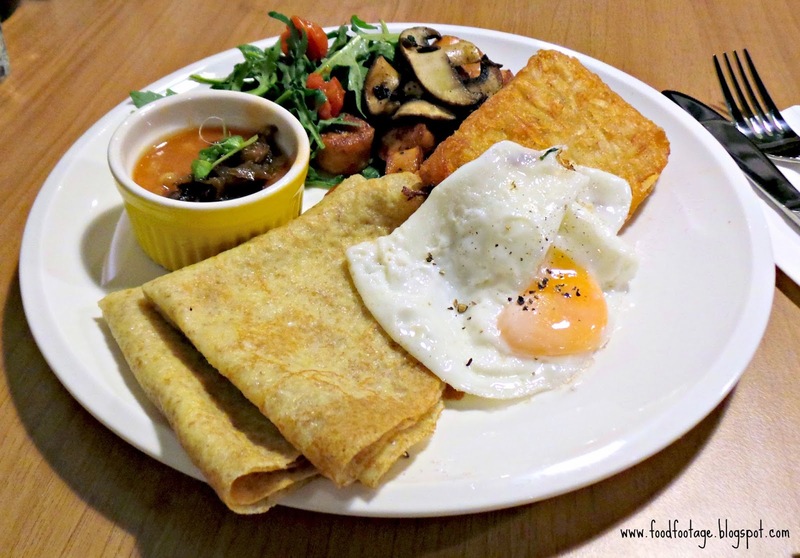 There’s about 11items (excluding the beverages) in the menu – a selection of savory and sweet crepes. In order to have a tummy-filling meal, you have to order both the savory and sweet crepe – or else you will have filled up your tummy somewhere else. 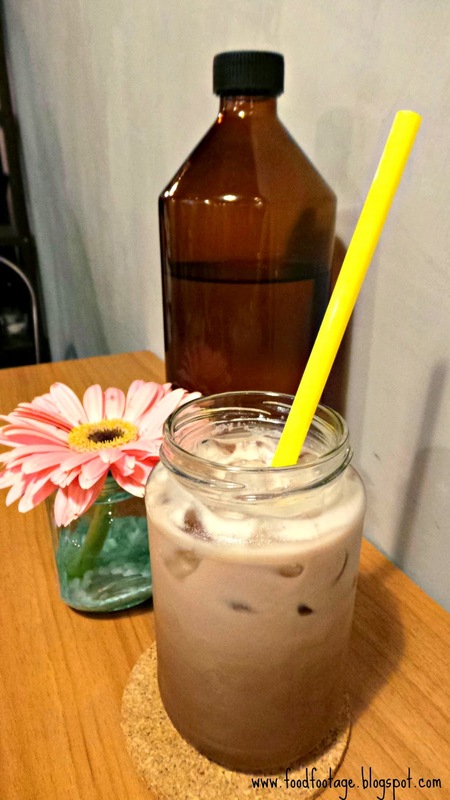 Creamy and rich taste of chocolate definitely will satisfy your cravings. Less bitter and more sweet than coffee. 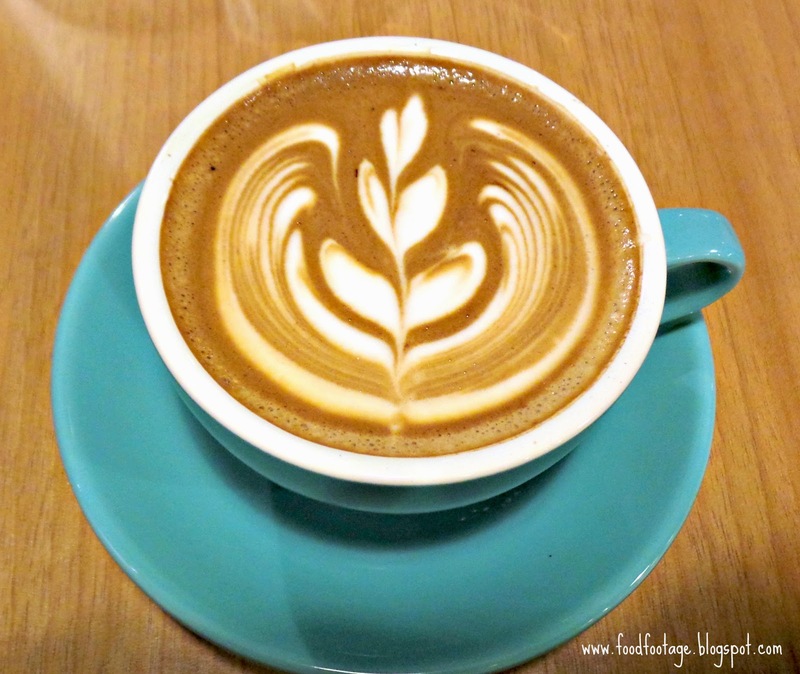 However, the sweetness and chocolate taste were not sweet enough to hide the coffee flavor….. 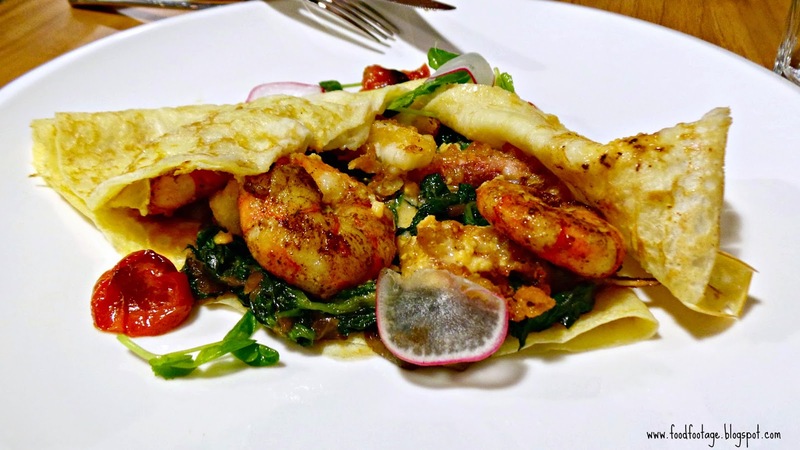 This seafood crepe is as pleasant as the dish name itself – Cajun tiger prawns, battered squid, spinach, caramelized onions, roasted cherry tomatoes and salted egg yolk. However, I couldn’t taste the salted egg yolk but indeed this crepe is flavorful for sure!! A fluffy-soft chili-flaked crepe stuffed with a perfectly cooked pan seared chicken, golden hash brown, capsicum and citrus cucumber - onion salad together with the house-made mildly spicy-tangy sauce that had a pleasing savory taste. Seriously I’ve to admit………it’s superbly appetizing!!!!!!!!!!! 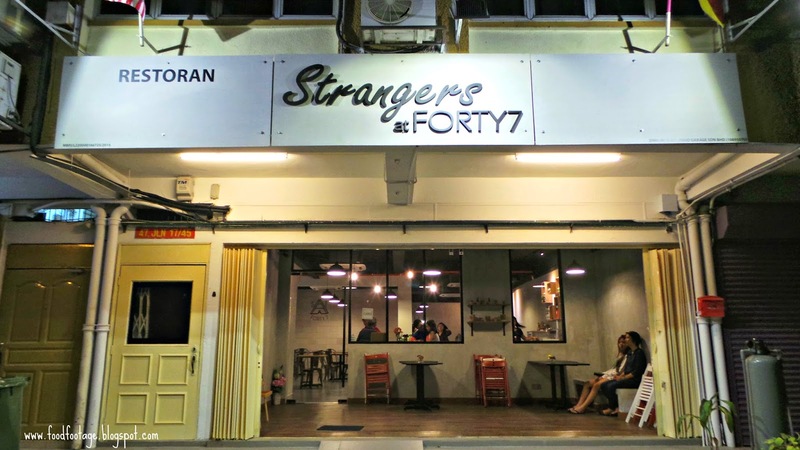 Strangers At 47 do serves an outstanding big Breakfast – Fluffy-soft wholemeal crepes, chicken chorizo, smoked chicken ham, butter sautéed portobello, golden hash brown, caramelized onions and baked beans. I’ve to admit, this is one of the great big breakfast that I’ve had. All the ingredients that used were fresh – sweet and delicious!!! 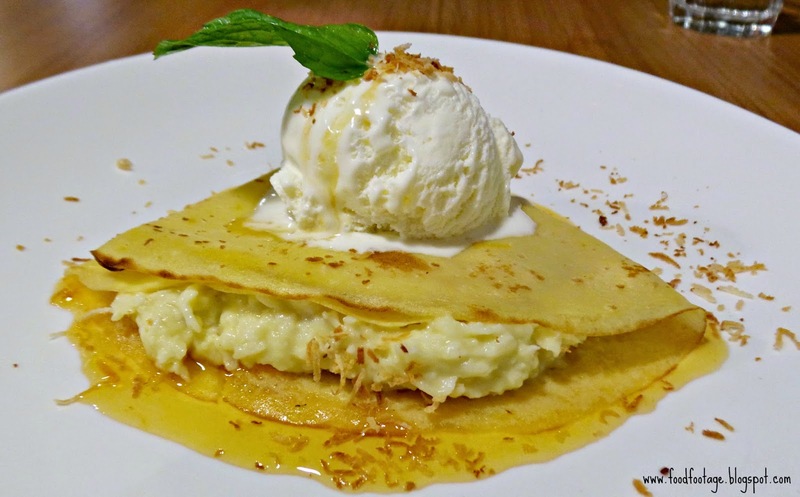 It’s Kelapa is an fluffy-soft orange crepe with pandan infused coconut custard, shaved toasted coconut, sprinkle of roasted almond flakes and orange caramel together with vanilla ice-cream sitting on top. The orange infused flavor really goes well with the coconut custard and shaved toasted coconut – such a brilliant idea!!!!!!! 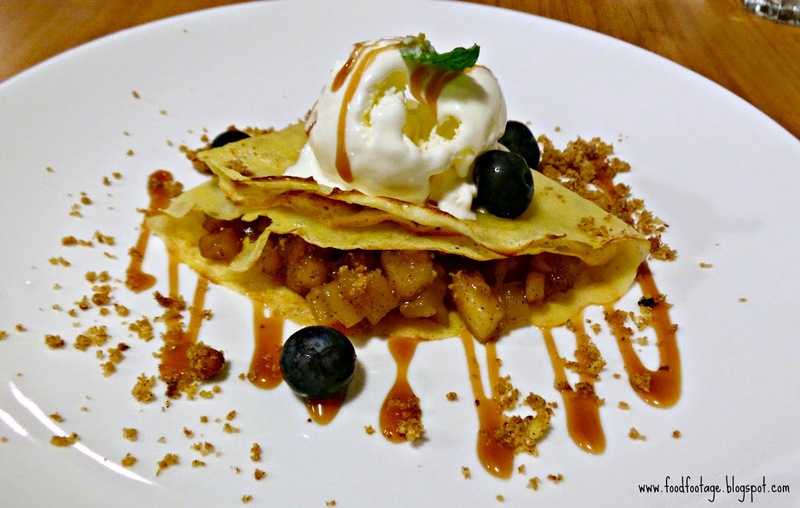 Thin sweet crepe stuffed with warm and juicy cinnamon tinged apple, wholemeal crumble, blueberries, salted caramel and topped with a scoop of chilling vanilla ice cream – another master class in the culinary arts. Overall Rating: 8.5/10. 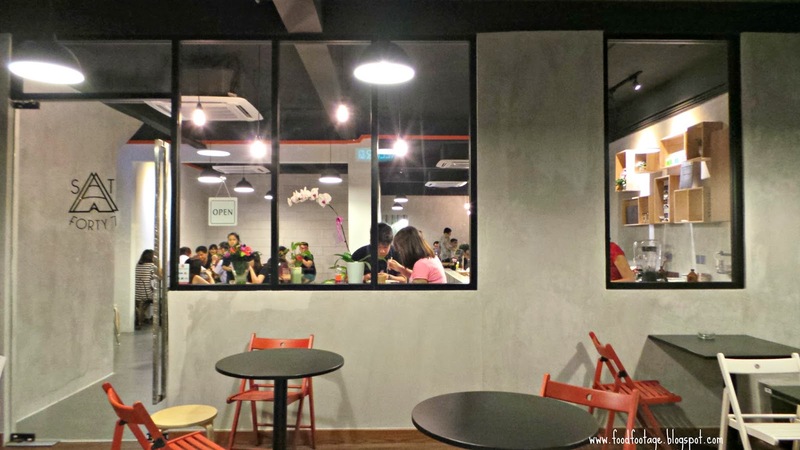 A very interesting crepe house that managed by a group of culinary background young people and being one of the sole place in the Klang Valley, Strangers At 47 is one of the most enjoyable eateries that I’ve tried so far. 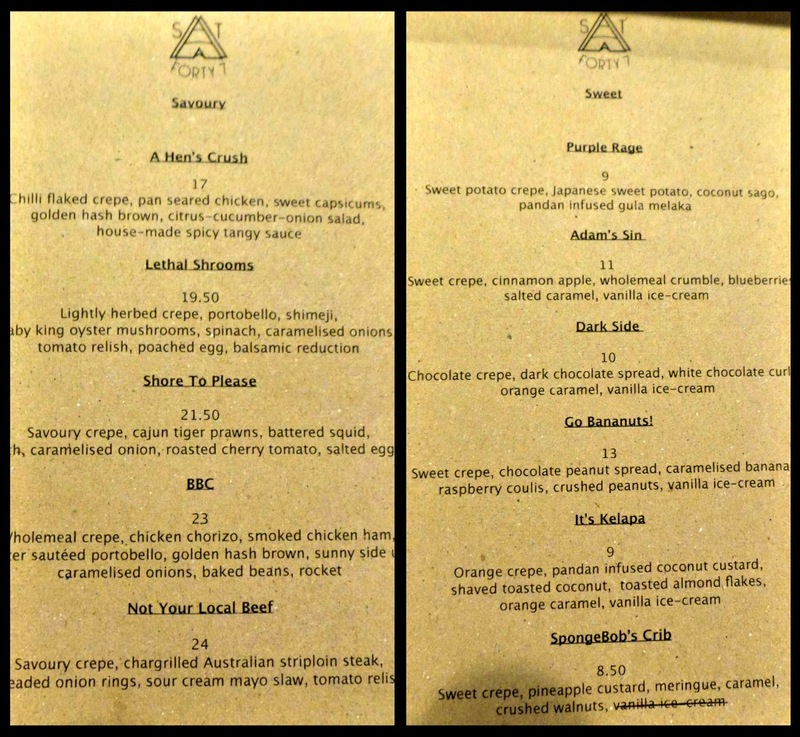 All the dishes had individual flavors that you definitely will like it. 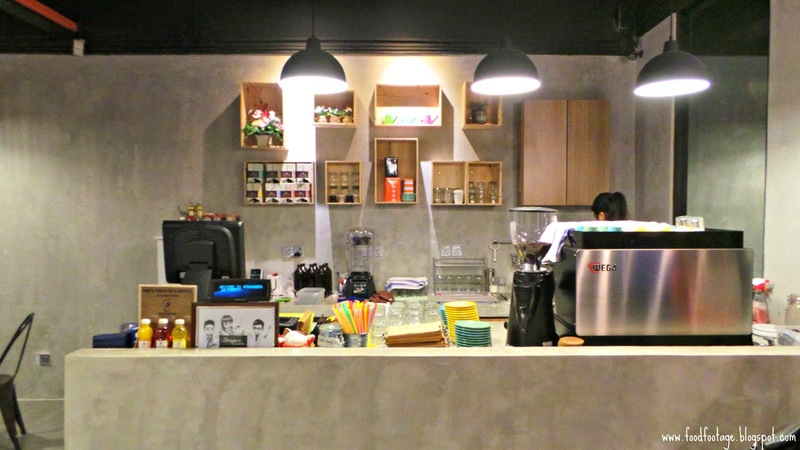 Address: 47, Jalan 17/45, Section 17 Petaling Jaya. 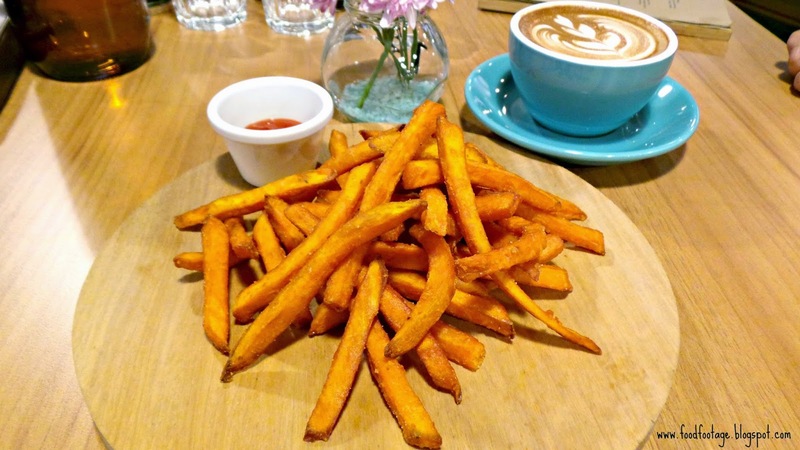 Opening Hours: 11am-10pm (Weekends) 5pm-10pm (Weekdays) Closed Tuesday.